Today has been particularly stormy here in Deutschland. Lots of wind. Some rain. Spots of sunshine followed by more clouds. I have to say, though, the storm last weekend in Meersberg was the best so far. 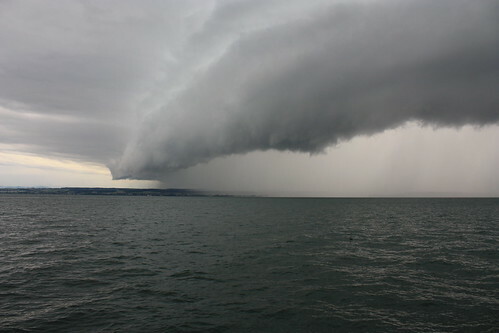 We watched it come down out of the mountains and move quickly across the Bodensee. Here's a picture I took about 5 minutes before it forced us inside. Rad.